" The "new" Old Jail. You can't appreciate the new look until you stop by! This is an 1860 historic building and on the National Register of Historic places. It serves as an office for the Historical Society, the Welcome Center, and Melungeon Museum. The Society is very appreciative of the grant award we received from the TN Historical Commission for this project." The Hancock County Tennessee Historical and Genealogical Society's mission is the collection, preservation, and publication of our county's history and genealogy. The Society publishes a news-letter twice a year, Our Mountain Heritage that is mailed out to our members. Primary emphasis is on the publication of local records that are not available elsewhere. Bible records, old letters and post cards, old news-paper articles, oral history and local church records are published when available. 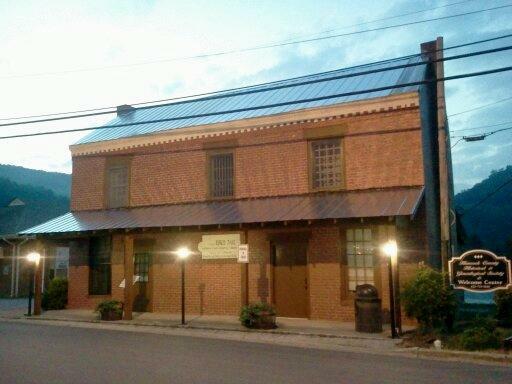 The Hancock County Tennessee Historical and Genealogical Society is a non-profit organization, located in the Old County Jail on Jail Street in Sneedville Tennessee. Our Mountain Heritage will be issued three times a year now.